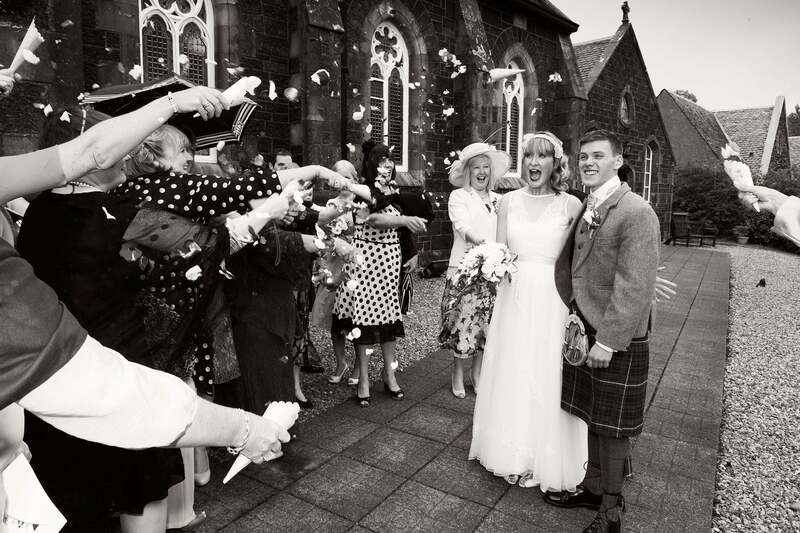 Alison and Russell got married at the Western Isles Hotel in Tobermory. A trip to the isle of Mull meant a full weekend away for me. As you can see, the coverage started pretty early on this one! 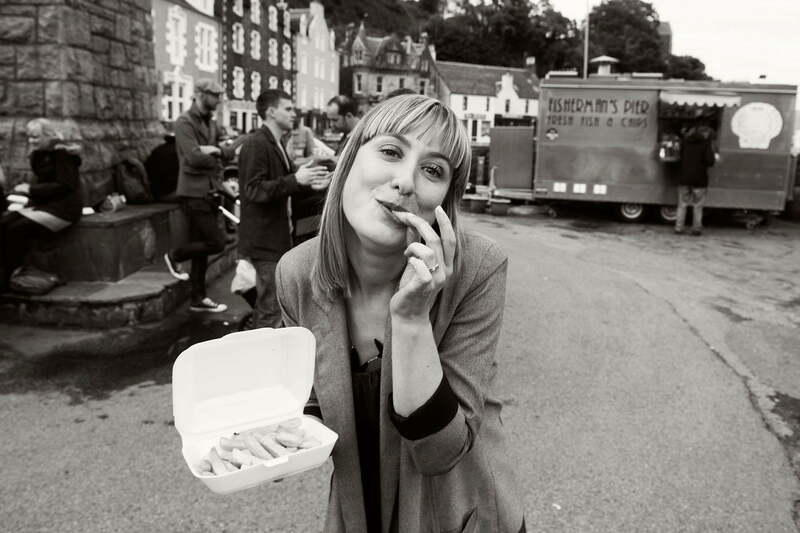 Alison munching chips from the legendary Tobermory pier chippy! A happy Alison and her team at the reception in the Western Isles Hotel. 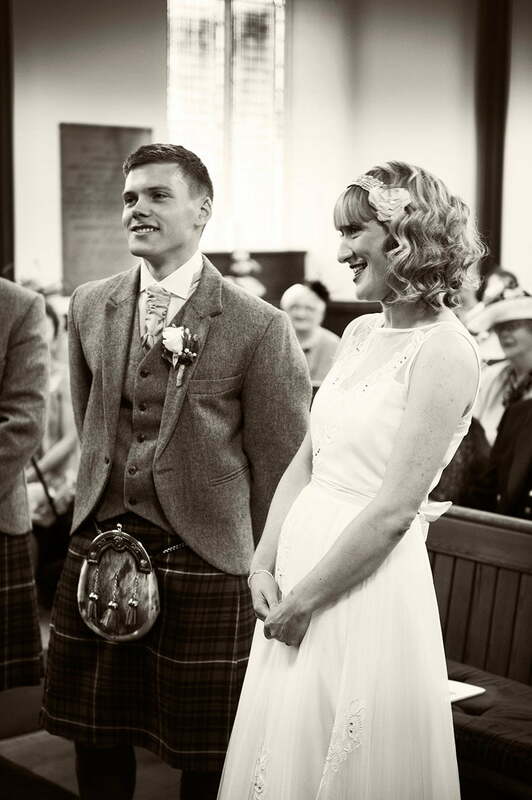 We didn’t want our guests to be hanging about while we did photographs or to miss a moment of our big day by leaving the party! So Tim had to photograph the day as it unfolded and didn’t get any second chances or setup time. The end results were beyond our expectations and we smile every time we look at the final photographs as they bring back so many memories. 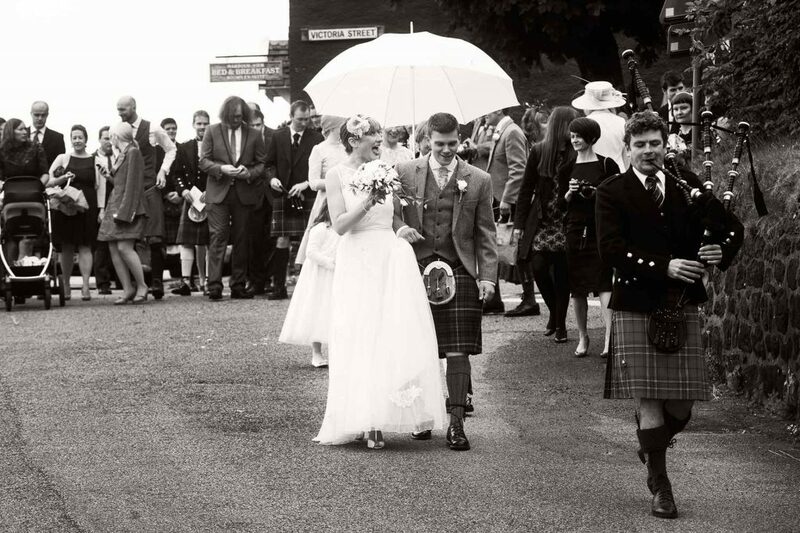 We still got some group shots to keep family happy, Tim can turn his hand to any of your requirements. The only headache is choosing which ones you want to print at the end because they are all so good! 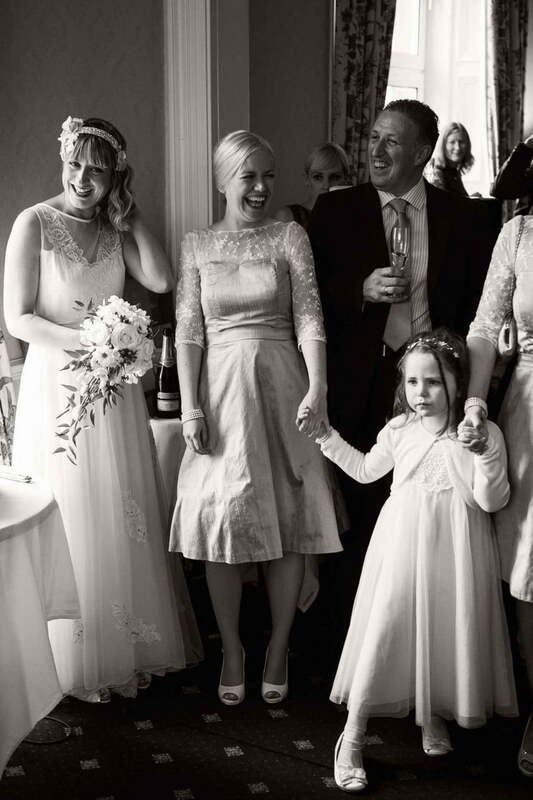 We would highly recommend Tim as wedding photographer.